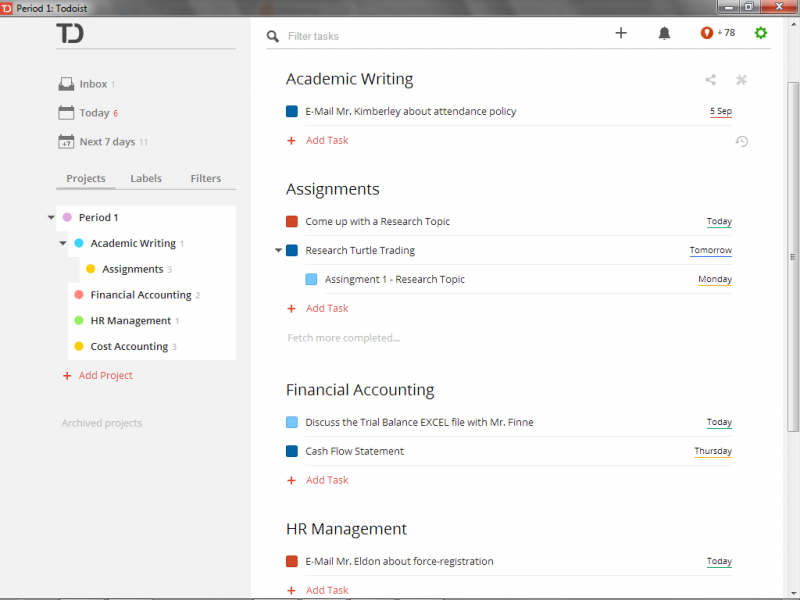 Todoist is a powerful task manager for personal productivity. Lets you manage tasks from your inbox, browser, desktop, or mobile device. For people who know great accomplishments are built through small daily tasks. With Todoist you can: create tasks and sub-tasks in project and sub-projects; attach labels to tasks; prioritize tasks; set recurring due dates; sync your tasks across 9 platforms. Additional Premium features include: task notes with file attachments; e-mail, SMS and mobile push notification reminders; calendar synchronization (with iCal); adding tasks via e-mail; project templates; automatic backups.